I first met Jürgen Michaelis and his Jomox in Frankfurt at the Musikmesse in 2002. 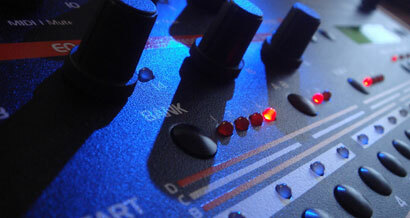 I liked the Xbase09 but because I had a Roland TR-909 I never considered owning one. Fast forward to 2007 when the details of the Xbase999 began to emerge, and after watching Jürgen enthuse about it on Sonic State, I took the plunge and ordered one from Thomann. Three weeks later the box arrived. On emancipation from its bubble-wrap attire, the first thing I noticed was how solid it felt… sturdy and robust. Visually it is stunning. The wooden cheeks, contrasting with the deep black paint-job with orange and white tags on the control surface, make it look wunderbar! The power supply has a metal casing and again gives the impression of durability. When powering on, there is a welcome message and you become aware of just how many led’s there are on the fascia… lots. Ok it looks beautiful I have to say and I think the black livery suits Jomox. But if it sounded crap then all that aesthetic prattle would not matter a jot. The usual trinity of midi sockets as well as a plethora of outs and two ins populate the back panel. There is a single output for each of the nine instruments. I hooked it up with the stereo outs and the kick drum on the single channel. 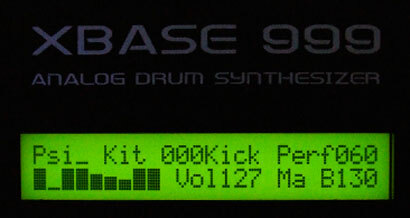 The nine instruments on the Xbase999 comprise four analogue sources [Bass Drum, Snare, Lo Tom ,Hi Tom] and five 8-bit sample based slots [Hihat, Clap, Rim, Crash and Ride]. Each sample slot contains 31 different samples. The timing is rock solid and the sound quality is excellent. The kick drum alone has twelve parameters and the decay can be up to 3 seconds! The snare has seven controls and sounds tight and snappy. The toms however only have three parameters [tune, decay and volume] which I found a little disappointing. The sampled instrument section has nice clean 8-bit percussion and bass hits with the hihats having the most parameters  including a high pass filter control section. All sounds can be sent through the main filter setup and so can be sculpted and changed quite easily. There are two identical filters which can be used as a stereo filter or two independent single filters. You can also send the signal from the analogue inputs to the filter(s). The filter matrix is the final selection button and is used to select which instruments are sent through the main filter(s). There are two digital lfo’s which can modulate the pitch of any instrument as well as the filter cut offs of the hihats and the global filter. There are four waveforms [rising sawtooth, falling sawtooth, triangle and rectangle]. The lfo’s can be syncronised to midi clock. There are two main modes of sequencer operation. The first is pattern mode where each step in the instrument sequence can be individually changed including selecting different samples for each of the slots. 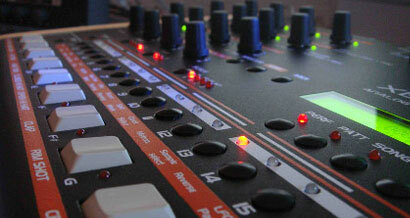 The second is performance mode which gives the user overall real-time control of each drum instrument. I found these different modes to be quite confusing at first and if you construct a track using the pattern mode as soon as you moved over to performance mode the edits disappear. If however you start in performance mode you can move the pattern across to be edited in pattern mode. There is an A/B select on the sequence and you can decide to have a 32 step pattern or two 16 step variations. I would like to see a method whereby you could copy the steps from pattern A over to pattern B which would save a bit of hassle. You can set accents on each step by pressing the instrument key twice and the led will change from red to orange to indicate the change. There is a sample editor available for the Xbase999 and I tried to upload some of my own samples to the machine. There is a midi interface check during the initialization procedure of the program. Unfortunately none of my  midi interfaces passed this check so I was unable to complete any sample uploads. I hope this issue will be resolved in future versions. 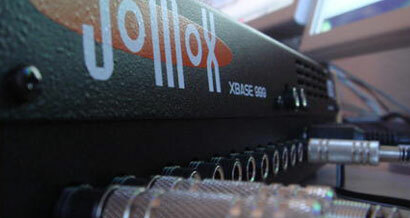 One of the things I enjoyed on the Xbase999 was the [limited] use of the external midi tracks. You can have up to four external midi tracks and in this mode each of the sixteen rotary encoders becomes the pitch control for each of the sixteen steps in the pattern. I hooked up a Waldorf Pulse and created some nice bass lines using this analogue style sequencer setup. 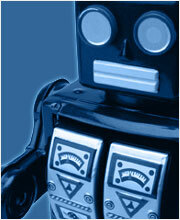 You cannot [at present] control any other parameters or controllers or send program change messages. Song mode as of writing is not yet available. As with all works in progress there are some things that are not yet implemented and the Xbase999 is no exception. The machine crashed a couple of times and I managed to lose all the preset patterns. Also when I individually muted each of the instruments there was sound leakage into the main outputs [I could hear the whole attenuated mix even when all the instruments were muted]. I have posted these anomalies on the Jomox forum and I am pleased to say the factory presets have now been posted on the Jomox website and Jürgen has indicated that the leakage [due to the way the filters operate] will be fixed in a future upgrade. The sound quality of this machine is excellent and the analogue kick drum is powerful punchy and a pleasure to use. The samples are all crisp and clean and the snare is snappy and tight. I would like to see an improvement in the number of parameters available for the toms as having only pitch and decay seems to be quite a limitation. The Xbase999 still feels like a work in progress and in this regard I think synth makers are similar to musicians in the way that they sometimes do not finish their compositions before moving on to the next project [cases in point: Waldorf Q, XT, Jomox Sunsyn, Radikal Technologies’ Spectralis remain 'unfinished']. 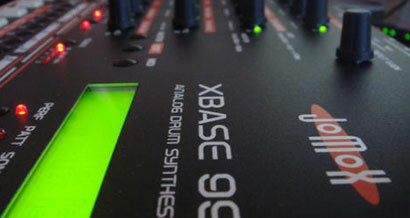 I hope that the Xbase999 develops to its true potential and that Jürgen evolves the operating system as well as the sample transfer editor and in doing so making the Xbase999 analogue drum synthesizer the masterpiece that it could be.